Reforms in the health services as per the patient requirements and the feedback obtained. 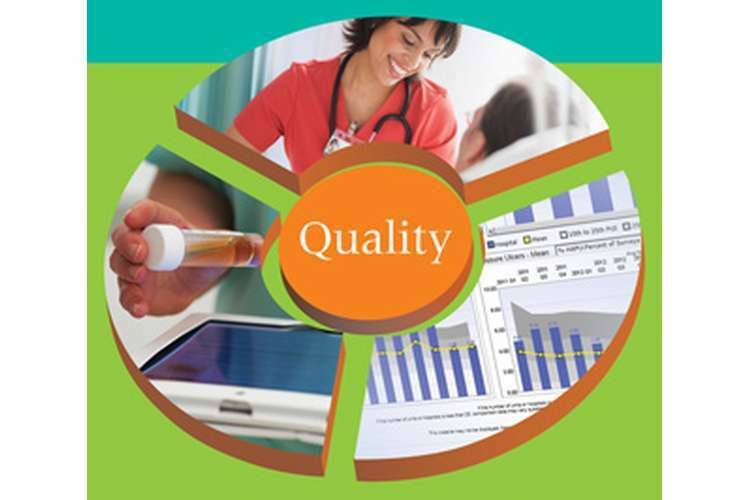 Setting of the standards of the services and the quality in medication. Appointment of the effective, skilled, competent and expertise team who execute the entire task of healthcare management. Making the policies, standard operating procedures and guidelines for the team which is based on the competitive benchmarking and following the right processes for the safety and security of the patients and the staff employed in the healthcare organization (Laschinger et al, 2001). Leadership – In a healthcare organization, leadership plays a critical and significant role. 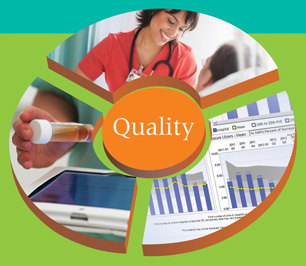 Unless the leader is effective and strong enough to make the right decisions and that too for the benefit of the staff and helps in keeping a control over the various external and internal factors, the performance of the staff would go low hence reducing the level of quality management in the various services and even the patient safety is at risk. So leader should be the one who is admired by all, although he keeps strictness but still maintains peace, harmony and good relations among the whole team. Workplace Culture – It is important that each and every employee should think for the benefit of other. The training should be given at the beginning only to ensure that the workplace has peace and harmony and the entire team cooperate and coordinates with each other in the attainment of the specified goals with the team effort. No team member should think about himself; rather should think for the development and progress of the entire team, management and healthcare as a complete organization. Design and Structure of the Organization – The design and structure of the organization is really an important consideration for determining the performance of the staff and quality in various services. In case the employees get the empowerment, flexibility and the power of decision making, they would feel really happy to work for the healthcare organization and the output in terms of their performance would be excellent. Whereas if the organization is bureaucratic or too much hierarchical then it would become difficult to make the quick and right decisions as for everything they have to wait for approvals and employees no more take the accountability (Chow et al, 1998). Quality Control & Risk Management – Although the daily operations of the healthcare organizations have been running as required but to improve on the processes and control the quality and overcome the risk factors it is of utmost priority that a check or audit is kept on all the processes, procedures and the system so that before anything goes out of control or beyond a certain limit then immediate action is taken otherwise the change in the process may affect the performance of the staff as well as the company. Technical Support – Technical Support for the quality, staff performance and the patient safety refers to the training of the team, right reporting structure, identification of the problem, management support, grievance resolution and support in the changeover and its implementation. It is essential that technical support should be strong in the company so that team enjoys working within the health care organization and the objectives and targets as set are fulfilled and completed as expected. Support of the management – Unless the top level management helps in the controlling and managing of the processes, the middle and senior team would not be able to fulfil the mission and the goals that have been determined. All the above discussed factors contribute a lot towards the progress of the team and helps in enhancing the efficiency and performance. Project Phase – It means the identification of the problem. Diagnostic Phase – Collection of the relevant data and information and establishment of indicators and the outcomes of the problems. Intervention Phase – Develop the plan to meet the specified outcomes. Impact Phase – Implement the change on a larger extent. Improvement Phase – continue measuring the processes that are implemented and keep bringing modifications and improvements as expected. All these phases are implemented for the maintaining of the quality in the services and ensuring that the team performs well & even keeps the patient safety as priority. Total Quality Management – It is basically ensuring that quality and certain standards are always followed and implemented so that in each and every activity the quality is followed and a check is kept so that any deviation could be proactively treated well (Powell, 1995). Plan-Do-Check-Act Cycle – It is important that proper planning should be done before a project is implemented or done. Even after the implementation, it is essential that a check is being kept on the steps to ensure that the standards and the levels are being maintained for the quality and safety. In case there is any problem is then acted accordingly. This cycle is followed in all the healthcare organization and if not then should be strictly followed to ensure that performance of the staff as well as the safety of the patients is ensured. Risk Control and Management – In the healthcare organizations, there can be various kinds of risks that may arise either manpower risk in terms of the availability of the skilled manpower, Technical risks, operational risks etc. There should be guidelines and set processes to ensure that all the risks are controlled. In the Healthcare organization, the staff performance is essential to be measured at regular intervals and the management should devise certain welfare measures and guidelines so that they remain satisfied in the company and do not resign. Patients would be well taken care and remain safe and secured only when the staff will ensure quality. In the marketing process management should support the healthcare organization team irrespective of their levels. If there would be safety and security and provision of quality services in the healthcare organization, the team will remain retained and even the patients will prefer to get hospitalized and will be assured about their treatments in the respective hospitals. Chow, C. W., Ganulin, D., Haddad, K., & Williamson, J. (1998). The balanced scorecard: a potent tool for energizing and focusing healthcare organization management. Journal of Healthcare Management, 43(3), 263-280. Laschinger, H. K. S., Finegan, J., & Shamian, J. (2001). The impact of workplace empowerment, organizational trust on staff nurses' work satisfaction and organizational commitment. Health Care Management Review, 26(3), 7-23. Powell, T. C. (1995). Total quality management as competitive advantage: a review and empirical study. Strategic management journal, 16(1), 15-37. Luthans, B. C., & Sommer, S. M. (1999). The Impact of Downsizing on Workplace Attitudes Differing Reactions of Managers and Staff in a Health Care Organization. Group & Organization Structure Management, 24(1), 46-70. Salanova, M., Agut, S., & Peiro, J. M. (2005). Linking organizational resources and work engagement to employee performance and customer loyalty: the mediation of service climate. Journal of applied Psychology, 90(6), 1217.